744HW | Thermodyne Foodservice Products, Inc.
Model 744HW combines steam table serving with Thermodyne's Fluid Shelf® technology in one convenient unit. 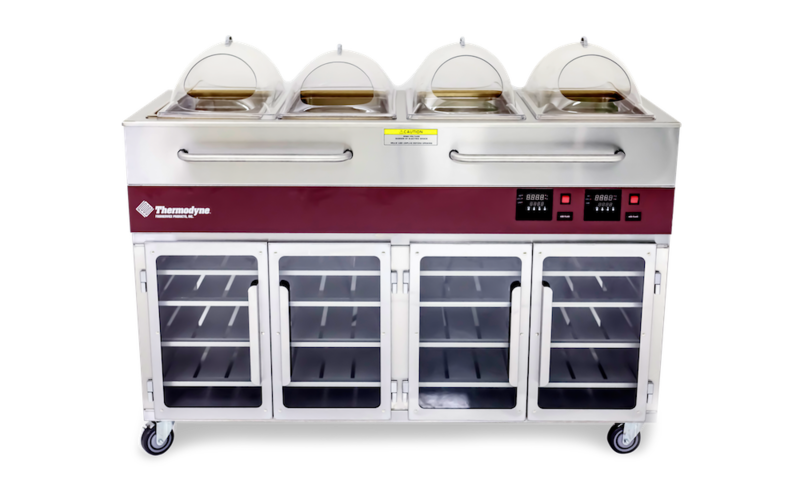 While most steam tables offer little more than wasted space below the unit, Thermodyne provides cooking, holding, and rethermalizing capabilities within the same space, eliminating unnecessary trips to and from the kitchen. *Unit shown with optional well lids.